WestJet has dropped the price of their flights from Edmonton to New York City down to $356 CAD roundtrip including taxes for fall and early winter travel. The flights have 1 stop in Calgary each way, with a perfect 90 minute layover. Halloween is available (Oct 25 to Nov 1). 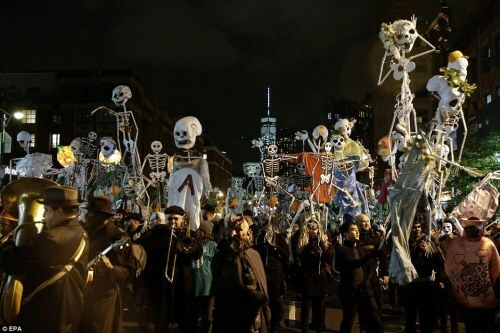 Not too many places have Halloween parades like New York! 2. Click on the departure date box to open up the calendar view. 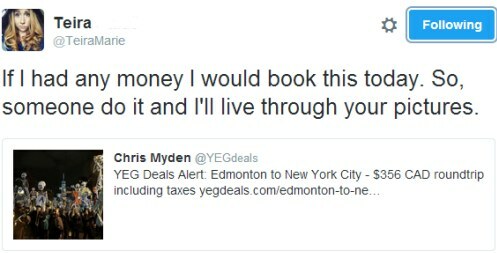 Look for date combinations that are $382 CAD roundtrip. 4. Search for a flight from Edmonton (YEG) to New York City (JFK) using the same dates as you found above. The price on FlightHub will be $356 CAD roundtrip including taxes. 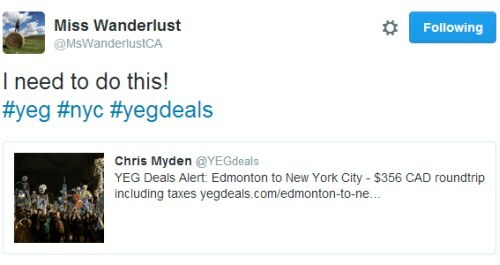 edmonton, yeg, westjet, flight deals, united states, new york city, north america, new york, jfk and nyc.